Ross McKinnon from Flinders University and Michael Ward from the University of South Australia discuss the safety considerations of biosimilar drugs. Biosimilar drugs are not the same as generic drugs. The structural complexity of biosimilars means there is more uncertainty about the safety of patients switching between biosimilar products. The authors discuss some of the problems that have arisen when assumptions have been made about the bioequivalence of these products. Iron deficiency is the most common cause of anaemia. In Australia it is highly prevalent in indigenous communities, and affects approximately 10% of young woman. Jonathan Baird-Gunning and Jonathan Bromley of Canberra Hospital provide a summary for prescribers on iron deficiency, including assessing and correcting the condition through diet, oral and parenteral iron. Are the new oral anticoagulants better than warfarin? Paul Chin and Matthew Doogue from the University of Otago, New Zealand, provide an update on the new oral anticoagulants dabigatran, rivaroxaban and apixaban. They summarise what to consider when selecting an oral anticoagulant for long-term use. The article outlines the characteristics of the new oral anticoagulants and warfarin, and provides practice points on dosing, clinical and laboratory monitoring, the role of patient preference, and how to manage bleeding. This edition of Australian Prescriber contains details of the top 10 subsidised drugs for the year July 2015–16. Cholesterol medicine atorvastatin tops the lists of prescription counts and defined daily dose per 1000 population per day. The hepatitis C combination medicine ledipasvir/sofosbuvir tops the list of expensive drugs as it cost the government more than $570 million for the year. Australian Prescriber is now fully digital and available at www.nps.org.au/australianprescriber. The December edition of Australian Prescriber contains details of the latest top 10 subsidised drugs for the year. Cholesterol medicine atorvastatin tops the lists of prescription counts and defined daily dose per 1000 population, while the hepatitis C combination ledipasvir/sofosbuvir tops the list of expensive drugs, costing the government more than $570 million for the year. The hepatitis C drugs topping the list is the biggest change from last year’s figures, says Australian Prescriber’s medical editor Dr John Dowden. “These two new hepatitis C medicines—the combination ledipasvir and sofosbuvir, and sofosbuvir on its own—have come onto the market and rocketed into the number one position on the list of top drugs by cost to government,” he said. Other expensive medicines with lower number of prescriptions include adalimumab for arthritis and inflammatory bowel diseases, ranibizumab and aflibercept for macular degeneration, etanercept for autoimmune disease, and trastuzumab for breast cancer. 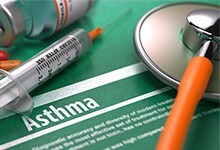 “It’s interesting to note that the most commonly prescribed medicines—such as the proton pump inhibitor esomeprazole and fluticasone/salmeterol for asthma—are not the most expensive,” said Dr Dowden. To read the full article and others, visit nps.org.au/australianprescriber from Monday 5 December. Learn more about the safety and efficacy of mepolizumab in patients with severe eosinophilic asthma. 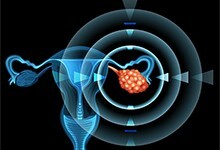 Olaparib is indicated as maintenance therapy for people with BRCA-mutated high-grade serous epithelial ovarian, fallopian tube or primary peritoneal cancer. Talimogene is an oncolytic immunotherapy for melanoma consisting of genetically modified herpes simplex virus 1. Find out how it works, who might benefit and the adverse effects. Keep up to date with all the latest news on drugs and therapeutics.